Ashford Bowdler is 9 miles north of Leominster on the western bank of the River Teme. An open air market is regularly held and there is splendid walking, cycling and riding in nearby Mortimer’s Forest and Offa’s Dyke, with golf and horse racing locally. Midland Safari Park and Ironbridge are 1 hour’s drive.It is believed the parish church of St Andrew's was founded in 1211 on ground held by the Benedictine Priory of Bromfield. Shop 1 mile. Orchard Cottage has a comfortable sunny sitting room with floor-to-ceiling windows overlooking the garden; it also has a dedicated patio with garden table and chairs. Three holiday cottages just 3 miles from historic Ludlow. Luxury self catering accommodation, surrounded by unspoilt countryside, ideal for walking holidays. 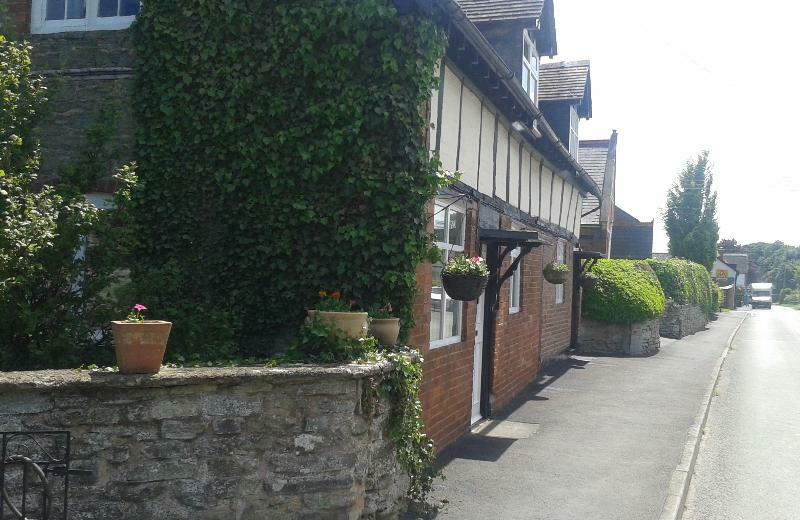 Featherknowl Cottage is in a rural setting overlooking farmland just off the A49. 3 miles south of Ludlow with local amenities, black and white buildings and castle.